Before we had children, I never saw myself as the one celebrating Halloween. 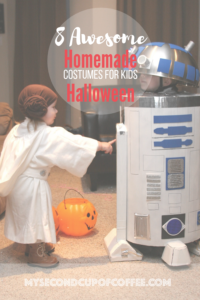 Or more, creating homemade Halloween costumes for kids. I was never into skeletons and all the gory stuff that typically comes with Halloween. I also used to cringe at the thought of having to open the door every 5 minutes on a cold night to give out candy to overly hyper kids. Well…Fast-forward to when our first born son turned 3 and began asking questions about costumes. At his pre-school at the time, they had a very cute little costume parade for all the kids and parents to come and see. We could opt out, of course. But, seeing the excited face of my sparkly-eyed toddler when he talked about his ideas and the possibilities of costumes, just might have softened my heart to the idea. Looking for a simple, quick, but thoughtful craft for the Dad in your life? Start reading now to find out how to make a Simple Father’s Day Tie Craft. We all know how summer sneaks up on us, right? The kids just finished pre-school year, and you barely had time to breath with both your toddlers at home full time. 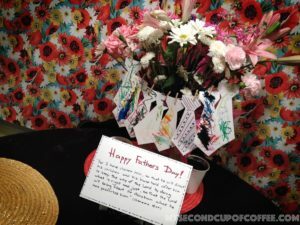 And then, “Bam!”, Father’s Day is in a few days, and you are desperately looking for something that’s cute and not time-consuming to make with your kids for your hubby. 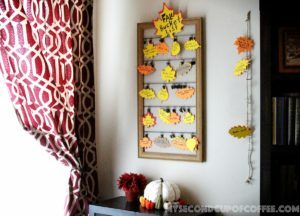 If you need a fun, super easy, and sweet craft to do with your toddlers in one evening, keep reading! I’m sharing a simple Father’s Day Tie craft that my kids did a few years ago. It was a great time scheming and planning, and the end result was super cute!